digitallyOBSESSED! DVD Review: "FACE TO FACE"
DVD Review: "FACE TO FACE"
While not the first of Ingmar Bergman' films to come to mind when discussing his directorial career, this Oscar-nominated classic is arguably as important and powerful as those considered his absolute best. The great Ingmar Bergman enjoyed a career that is considered legendary by most rabid film fans. While he�s most known for works like Cries and Whispers and The Seventh Seal, a few of his phenomenal pieces have somehow managed to slip through the cracks over the years. One such movie is 1976�s �Face to Face�, which was essentially lost in the whirlwind that was the Annie Hall phenomenon, given its similar target audience. Bergman�s forgotten work hasn�t even been available on any home video format in the U.S., until now, that is. Olive Films finally brings it to DVD, and, although it isn�t the robust, �Special Edition� release that the film deserves, it�s beyond great to have it as a part of any DVD collection. Jenny (Liv Ullmann) is a psychiatrist who, although successful, is not only severely depressed, but suffers from mental illness. On the surface, Jenny is stoic, almost always carrying herself with the utmost calm, and at least mildly happy demeanor. What the outside world doesn�t see are the problems mounting in her life, from her incredibly boring marriage to a husband (Sven Lindberg) that only cares about his work, to Anna (Helene Friberg), a daughter that is slowly distancing herself from her parents. In an attempt to escape her problems, Jenny travels to her grandparents� house, which is where she grew up following the death of her parents. What she doesn�t realize is that returning to this house will unleash even more emotional demons�although at the same time it could be the key to her rediscovering happiness. Again, �Face to Face� will never be as highly regarded as Fanny and Alexander, or other, better-known Bergman films, but it certainly should be. 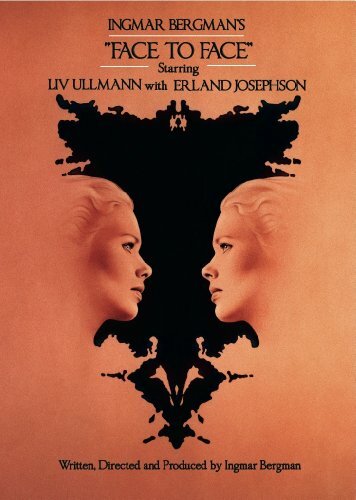 And, like so many other Bergman films, �Face to Face� wouldn�t be as effective without the stellar performance by Liv Ullmann. Sure, there�s great work by fellow actors Erland Josephson, who plays Tomas Jacobi, a man who Jenny has a strange relationship with, as well as excellent performances by Aino Taube and Gunnar Bj�rnstrand as her grandparents, but this is nearly a one-woman show. Fortunately, Ullmann is more than up to the task, commanding the audience�s attention during each and every scene, and further cementing her status as one of the finest actresses of our time. Another of Bergman�s masterstrokes is his decision to not only setup all of Jenny�s family problems during the first reel, but also, to enact the risky move of keeping her husband and daughter off-screen until well into the film�s running time. All of the classic Bergman touches are here, including his employment of long-time cinematographer Sven Nykvist, who always brilliantly captured each and every shot flawlessly, and has a way with showing off Ullmann�s brilliant face that is unparalled. The fact that such Bergman touches remained unseen in the U.S. until this Olive Films DVD came along is hard to believe. While, there aren�t any extras on board, the audio and video presentations suit the material very well, and Bergman purists should be more than pleased with what they get.